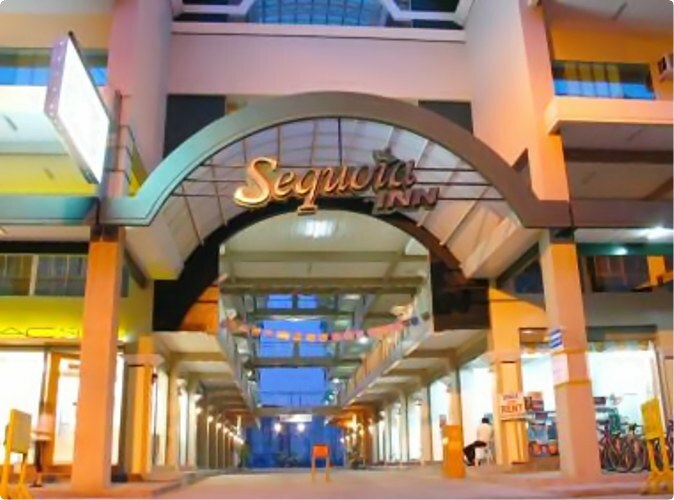 Welcome to Sequoia Inn, a modern and value-laden place to stay when visiting Davao City. Established in late 2002, Sequoia Inn features 40 spacious rooms that groups would truly appreciate. All rooms are air-conditioned and well-maintained. They are are also equipped with hot and cold water, Cable-TV, and a telephone with computerized billing system. For your convenience, Sequoia Inn has an elevator and a spacious and secure parking space. Its ground floors are also home to business establishments such as a bank, beauty parlor, a clinic, and Ombu Chicken House, Sequoia's very own restaurant famous for its greaseless fried chicken. Situated right in a commercial district, it is also within walking distance from several wholesale and bargain shops. Notable of which is NCCC, Davao's bargain superstore! When visiting Davao City, stay at Sequoia Inn.